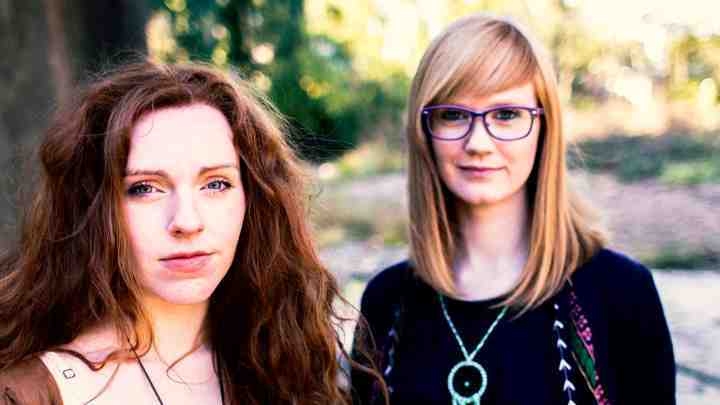 British country folk duo Rosie Jones and Zoe Nicol lived the dream for a short while as they recorded their debut album in Nashville. Now that dream turns into a tangible reality as the record gears up for its release. 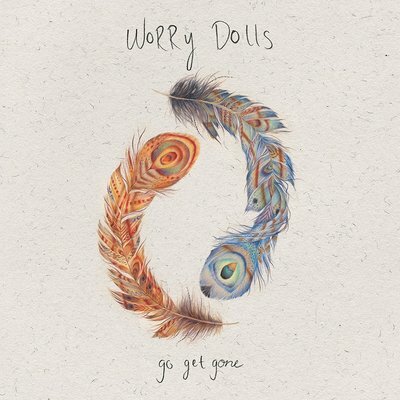 Under their performing name of Worry Dolls, Rosie and Zoe are the proud architects of GO GET GONE, a delightful compendium of ten roots orientated tracks packed full of tender country sensibilities. Under the esteemed stewardship of producer Nielson Hubbard, this is no blueprint product, just a beautiful evolution expertly guided to extract the depth of the talent. Without going too deep into national boundaries, there is a remarkable similarity in the tones of this record to that which emanates from the current crop of contemporary Canadian folk artists. The name Madison Violet continually comes to the fore while listening to this album and by comparison standards that should be taken as a hefty compliment. The major track which drives this assertion is the piano led ‘She Don’t Live Here’, one of five songs which have brighter illumination at the stage where these thoughts are shared with the outside world. Whilst Worry Dolls is very much a writing team, help has regularly been at hand to curate these songs although Zoe is credited alone for ‘Passport’. Familiar assistance is noted via the names Ben Glover and the Wild Ponies team, Doug and Telisha Williams. The latter two have featured prominently on the album’s promotional track, ‘Bless Your Heart’, adding their playing prowess to the writing involvement. Both songs mentioned here are amongst the key five indicated and chief reasons to why this album will meet the approval of many folks who enter its luscious sphere of entrapment. My personal favourite has settled on the country waltz number ‘Miss You Already’, a prized memory of their Nashville stint and hopefully set to blossom in the listening venues around the land as the record undertakes its touring ritual. The gut of this album hosts the craft of song creation awash with pristine vocal harmonies and a predominant roots sound relying on banjo, fiddle and acoustic guitar. Layers of pedal and lap steel provide the hazy faint feel and you are never too far away from a sound evidencing the majesty of folk induced country music, often generically housed under the Americana banner. The harmonica opening, and later welcome intrusion, breathes vital life into ‘Things Always Work Out’, the fifth out of five tracks jumping ahead in the appreciation stakes. This is not intended to undermine the other half of the record which has seriously good moments, blending delectable hooks and more challenging pieces luring curious listens. The ultimate strength of the album is the identity that Zoe and Rosie have stamped on it, keeping it free of pseudo interpretation while embedding a precious slice of Americana. Enticing repeat listens enhances its credibility and it is loaded with immense potential to launch Worry Dolls as a pre-eminent UK purveyor of seriously impressive country, folk and Americana music. In tough times the mere strength of an album may not develop into a desired level of commercial payback, but impressions of Worry Dolls growing profile shows promise that this is achievable. If making a damn good record is just the start, then Zoe Nicol and Rosie Jones have accomplished the first feat giving GO GET GONE a great chance of reaching and satisfying many ears.